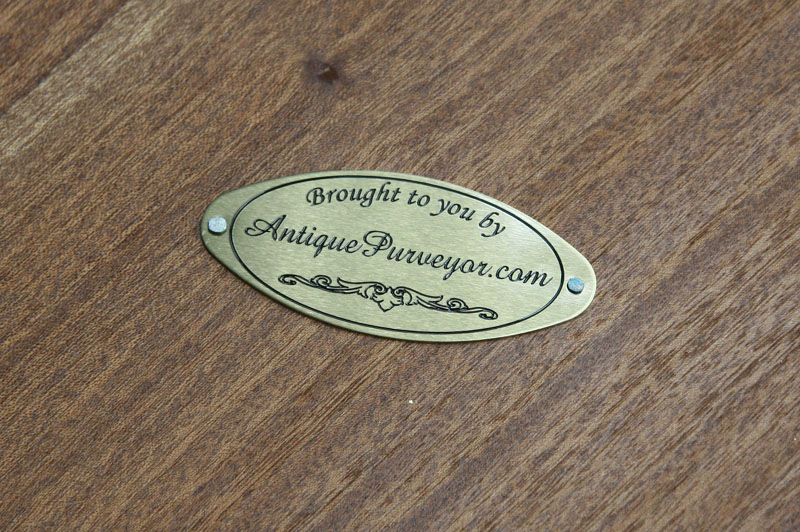 Antique reproduction mahogany executive desk with lion paw feet. 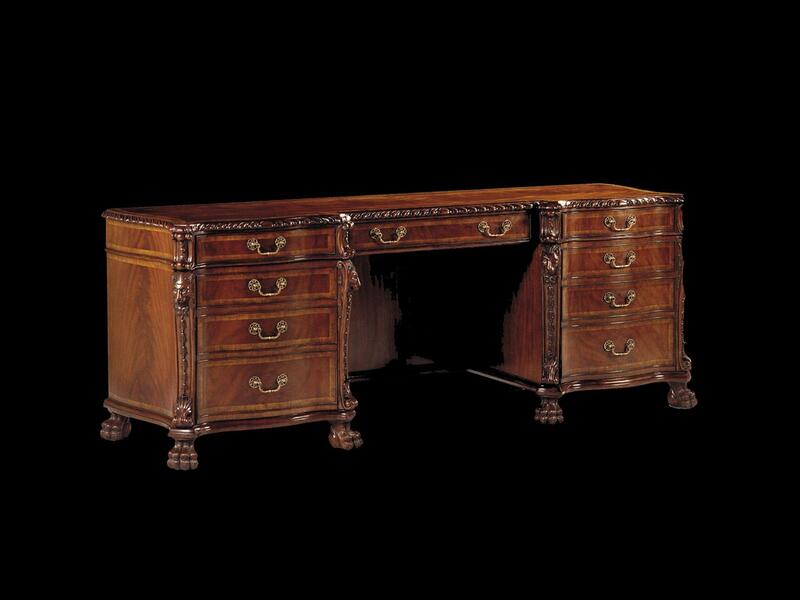 Mahogany antique reproduction executive desk for the high-end office. 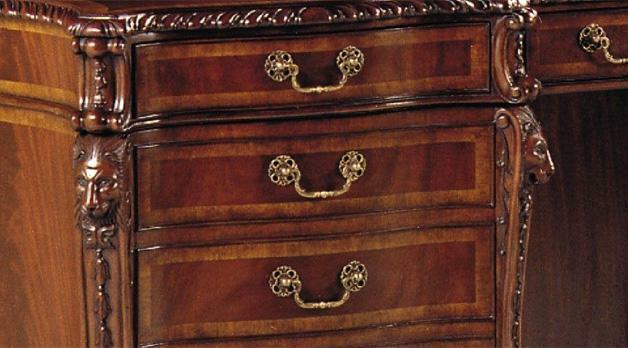 Description: High endexecutive desk with solid mahogany lion paw feet. 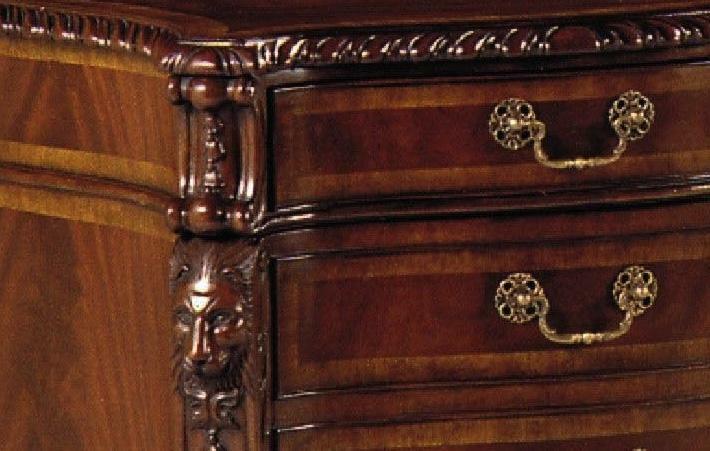 Banded mahogany drawer faces flanked by four lion head carved columns. Thiis cabinet stands at ordinary desk height of 30 inches but this desk can also be used as a credenza. Computer tower storage is on the left side and the right side has a sliide-out tray for paperwork, printer or paperwork Heavy and well made cabinet by reputable English cabinet maker who moved his shop overseas for more competitive pricing. 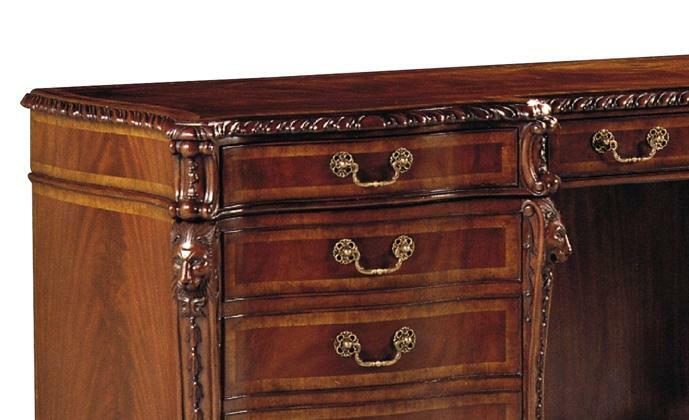 Oak drawers and quality craftsmanship, this desk is second to nothing. 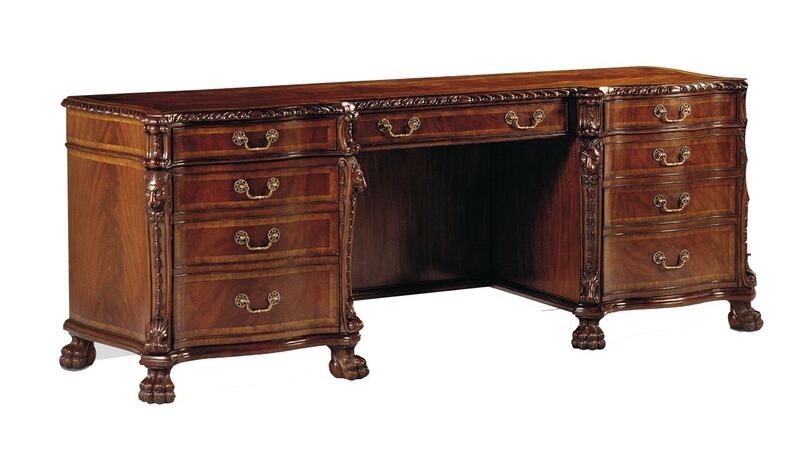 Great desk for boardroom, home office or for an executive suite.